Contracts can often seem a scary subject and private clients my feel unsure of what is in their best interest. The contract between yourself and your architect is there to not only protect your rights as a consumer but also to form the foundation of a strong design brief so that your architect can best serve your needs. We are registered with the Royal Institute of British Architects and use their contract procedures for all our projects, which are recognised under the laws of England, Wales and Scotland. The smallest projects are typically handled with a letter of agreement where a more detailed contract would be too complex, but we generally use RIBA Conditions of Appointments which are flexible enough to cover virtually all project types. Our principal will be able to offer advice on the best type of agreement to suit your project. Budget is always at the forefront of any client’s mind and it is always useful to have an idea of what you are looking to spend on your project at the start. 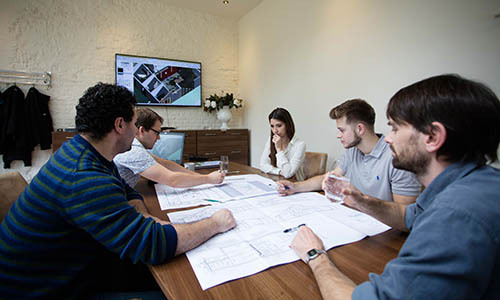 We can offer initial general advice on budgeting your design and are able to offer a full Quantity Surveying service if required from design stage through construction to completion. As every project is unique we calculate our fees on a job by job basis. We always try to offer our services on a fee scale basis based on the total number of hours we believe it will take to do our work. However some work is too complex or too open ended to justify a fixed fee in which case we offer an ongoing hourly rate which we feel is the most appropriate way to keep down our clients costs. Owner. Data Controller: Clayland Estates Limited whose principal place of business is at: The Glass House, Lynford Gardens, Lynford Road, Mundford, IP26 5HW 01842 878813. Data Processing Officer: Melanie Tilley. Your Privacy. 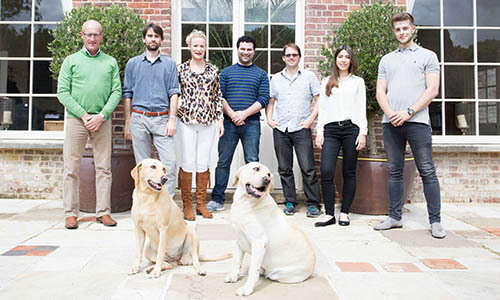 At Clayland Architects we are committed to maintaining the trust of our clients. We will never share your information with any other companies for direct marketing purposes. This Information Notice will explain what personal information we hold, how we intend to use it and how we ensure its security. Collection and use of personal information. Personal information means any information that may be used to identify you, such as your name, title, phone number, email address or correspondence address. As part of our processes, we collect personal information. We use that information for a number of reasons: to stay in touch while we are producing plans and drawings, to contact you if we need to obtain or provide additional information, to check our records are correct and to send invoices. 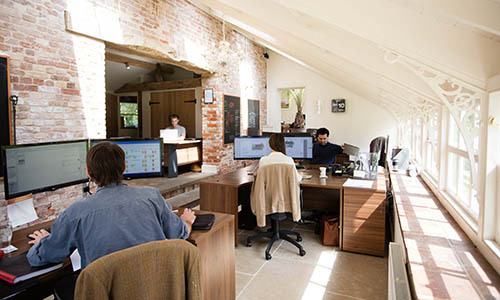 Your personal information is held on our servers in The Glass House, Lynford Gardens, Mundford and some paper records are stored in these offices. Legal basis for data processing. We process personal data under the legal basis of contract. We need to use your personal data in order to fulfil our contractual obligations with you. Access to your information. You are entitled to access or update the personal information that we hold on you. If you require us to make changes or send your information to another organisation please email your request to info@claylandarchitects.co.uk. Holding your information. We will hold your personal information for a maximum of 7 years from the date of the most recent communication. Contacts. Clayland Architects can be contacted by telephone (01842 878813) or by email info@claylandarchitects.co.uk. In case we are unable to help, complaints can be raised with: The Information Commissioner’s Office at http://ico.org.uk/.